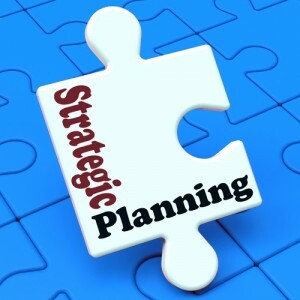 The practice of strategic planning seems lately to have fallen out of favor among banks. This should be little surprise, since it is a practice that a great many attempt but only a very few master. Year after year banks gamely keep trying, but the voluminous plans they produce have little or no practical impact on how they make important decisions and invest in new initiatives. The plans never seem to catch hold with a critical mass across the bank; they never get implemented the way they were intended; the expected results never happen; and life goes on until next year’s planning retreat. Executives and business line managers continue to march to their own different drummers, and the goal of energizing the entire organization around a common set of objectives quickly dissipates in the rapid-fire pace of everyday business. Decisions get made opportunistically, independently and disjointedly, and executives wonder why they can’t achieve their performance targets.